We have the largest selection of natural and synthetic fillings online. Our loose fillings are supplied by the kilo and foam can be cut to any size you require, suitable for many applications, from cushions, toy stuffing to craft projects big or small. Looking for Sofa cushion filling? Why not use our bespoke sofa cushion service and get made to measure replacement sofa cushions ready to slot straight into your covers. 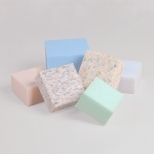 Why not choose our fibre fillings for your next toy craft project. Fibre is soft, economical and creates a plump finish, making fibre an ideal choice for toy stuffing. A wide choice of fillings for you to choose from for any project. Perfect for refilling, topping up & stuffing.